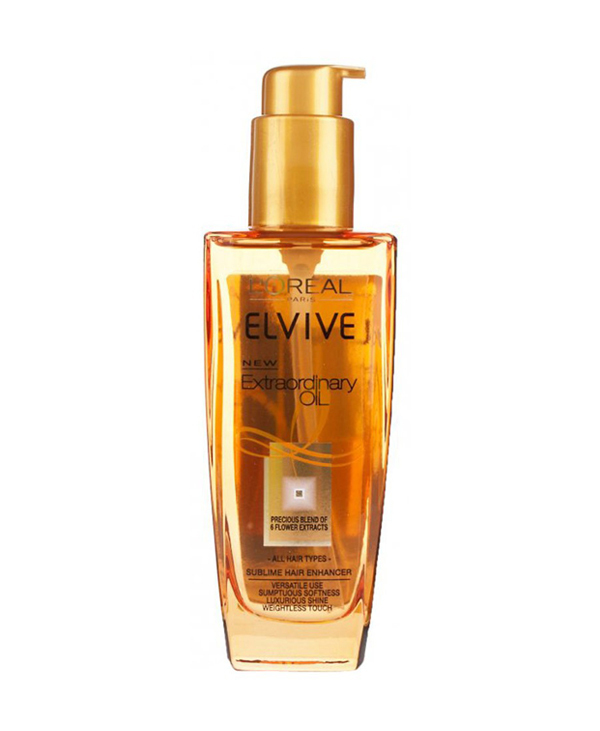 The L’ORÉAL PARIS ELVIVE Extraordinary Oil hair perfector comes in a transparent 100 ml glass bottle through which the golden colored oil appears. It also comes with a pump dispenser lid that can be easily opened and securely closed in order to prevent any leakage. All the essential information and ingredients have been listed on the back of the bottle. 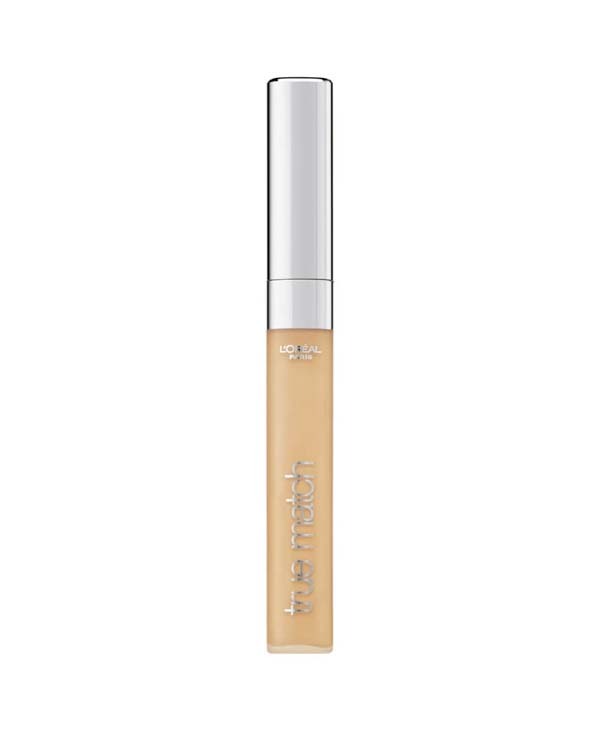 This hair perfector has a glossy, light-weight, and non-greasy formula. 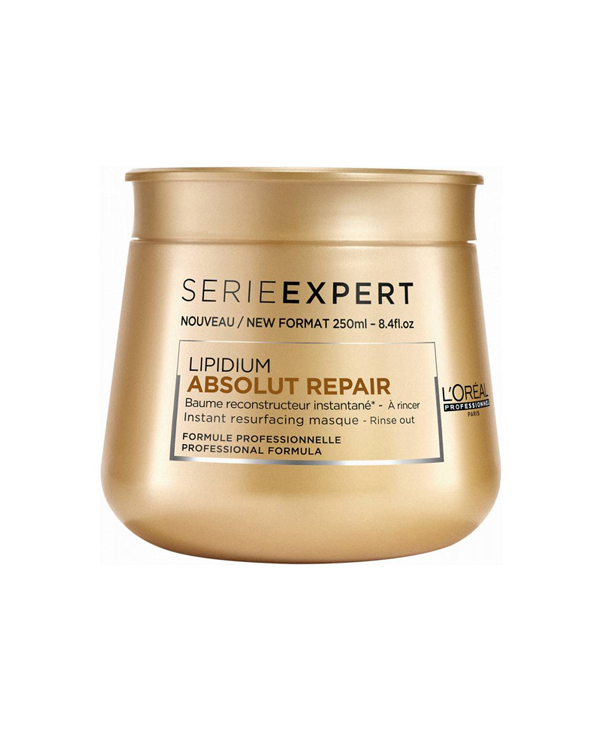 As per L’ORÉAL PARIS, this oil is suitable for all hair types. 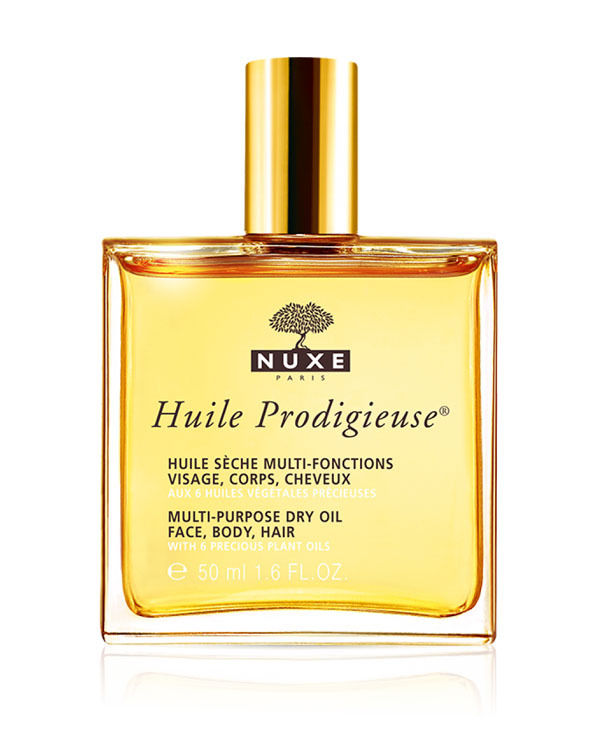 This hair oil has a pleasant and subtle fragrance. You will only need 3 to 4 pumps of this oil for each use. 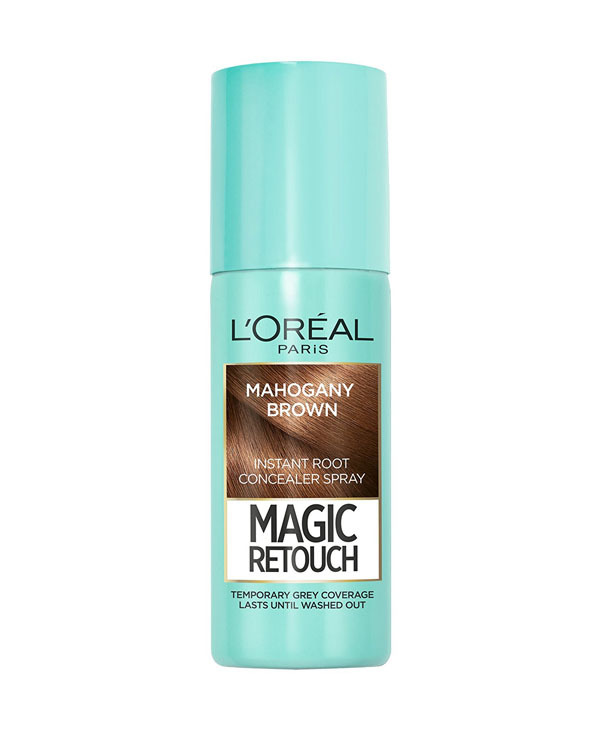 L’ORÉAL PARIS does not provide any specific directions for applying this product, but upon testing it, we deduced that the most convenient method of spreading it onto the hair would be through pumping some oil into the palm of your hands, then rubbing both hands together thoroughly. This way, you will feel the oil warm up, then you’ll brush your hands through your hair locks starting at the roots and working your way down to the ends. You can use this method either prior to shampooing or blow-drying your hair. 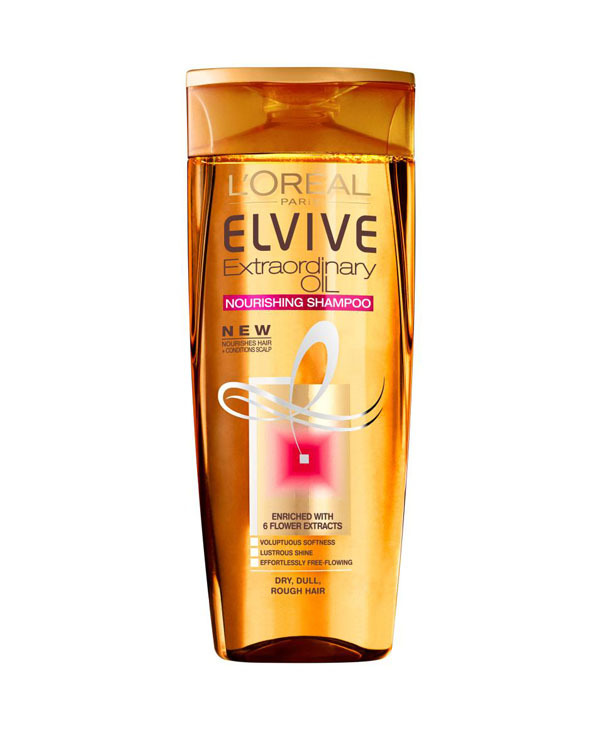 The L’ORÉAL PARIS ELVIVE Extraordinary Oil can be used at three different stages of hair washing, whatever the hair type: Before washing the hair with shampoo, on damp hair before styling it, or after styling the hair to give it a glossy look. However, we noticed that the most efficient ways of applying this oil were before washing the hair or directly onto damp hair. Based on that, your hair won’t appear greasy nor will any oil residue remain after washing or drying. We also tried it as a finishing touch after styling the hair, but the results weren’t quite satisfactory unless we only applied it to the hair ends. Hence, you should completely stay away from the roots or else the glossiness will appear to be overdone and over the top. This applies to all the hair types on which we tested the product: Dry, normal, or oily. As for the end-result, we noticed that after a month of usage, the dry and rough hair seemed hydrated and easier to style, with less split-ends too. To achieve this result, you should keep using it 3 times a weeks before showering. 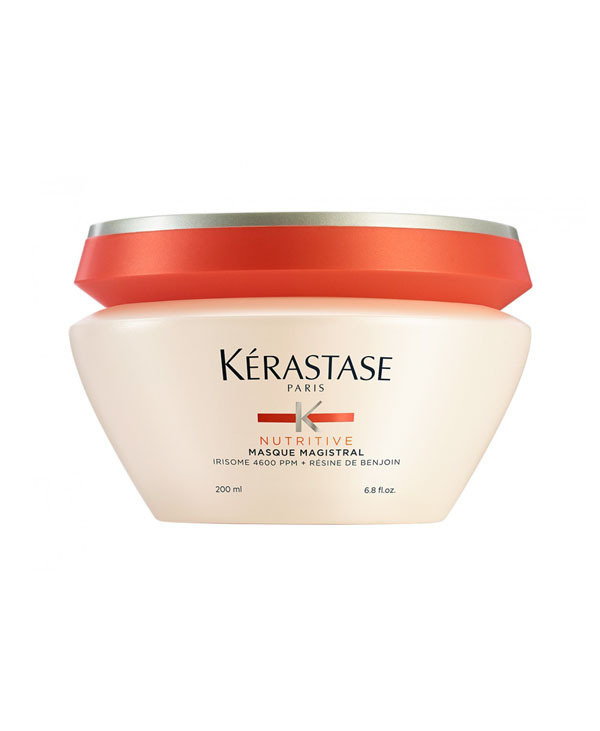 After applying this hair perfector on oily hair, it felt intensely nourished and less greasy. As for normal hair, the oil made it sumptuously smooth and silky soft. 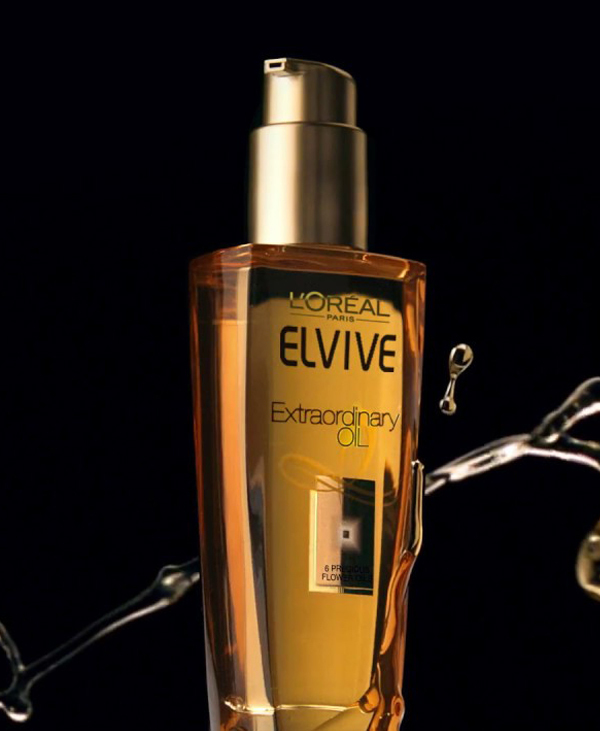 The L’ORÉAL PARIS ELVIVE Extraordinary Oil is a product you can count on to reduce hair problems such as dryness, dullness, and roughness. Keep in mind that it is not a one-time treatment though, you should work on incorporating it into your weekly routine in order to achieve the desired results. In Lebanon, the L’ORÉAL PARIS ELVIVE Extraordinary Oil retails at 11.5 USD for a 100 ml capacity. Its price is almost similar to that of other oils such as Pantene’s Pro-V Repair & Protect Dry Oil which retails at 8 USD for the same capacity. If you’re looking for a cheaper and larger option, you can go for Garnier’s Ultra Doux oil collection that is available in various textures and sold at 4 USD for a 150 ml capacity. Shiny, healthy, glowy hair with amazingly contoured curls. It is super affordable and I couldn’t find any better hair booster! 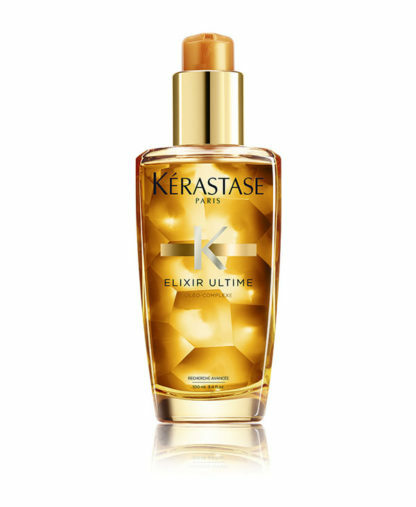 I love how my hair becomes when i put it , glowy hair amd healthy , i have wavy hair but usually i do it curly and put the serum and belive its the best !!!! I got this for free and didn’t expect to do anything for my hair since most drugstore oils and serums don’t do much for my dry curly hair. However, I was pleasantly surprised. It restored health to my hair and the more I use it the more I see results. I use it with another leave in conditioner and they work great together. It doesn’t do much for the frizziness of my hair. Probably ontop of the list of best hair oils! I loooove the smell of this hair oil, i only applied it to my hair ends, and it worked perfectly! Had to try it For a Week Before I review it! When I got the oil I was frightened cause my hair is oily and it might get more oily fortunately Loreal’s extraordinary oil change my point regarding hair oils. I’m not exaggerating you can use it anytime before shower after shower; Dry or Wet. The scent and packaging are amazing. Just add 2 to 3 pumps in your palm of your hand and spread it on your hair ends. Personally, although my hair scalp is oily; I’m in love with this product and I’m using it mostly after drying my hair; it gives softness and shines for your styled hair. Definitely, encourage you to buy it!! I received this two days ago as for the packaging I’m obsessed with the glass package for me it’s better than plastic and the pump in it made the world so easy to apply and u can go with the right amount the product it self is not oily I consider it a serum for hair just add pumps on ur hand rub ur hands and then comb ur hair with ur fingers don’t go up for the roots for oily hair and I used it as a mask before bath it literally made a big difference I have a colored damaged and dry and curly hair which is so hard to comb after using it as a mask my hair was silky and shiny like life is back after death to my hair I also used it on damp hair to help comb and after styling my hair used it as a serum it made my hair shiny and healthy and not greasy absolutely will be purchasing another one when this is empty. This product has been used by me, my sister, and my mom for over 5 years now. We all love this oil and basically all Elvive oils! 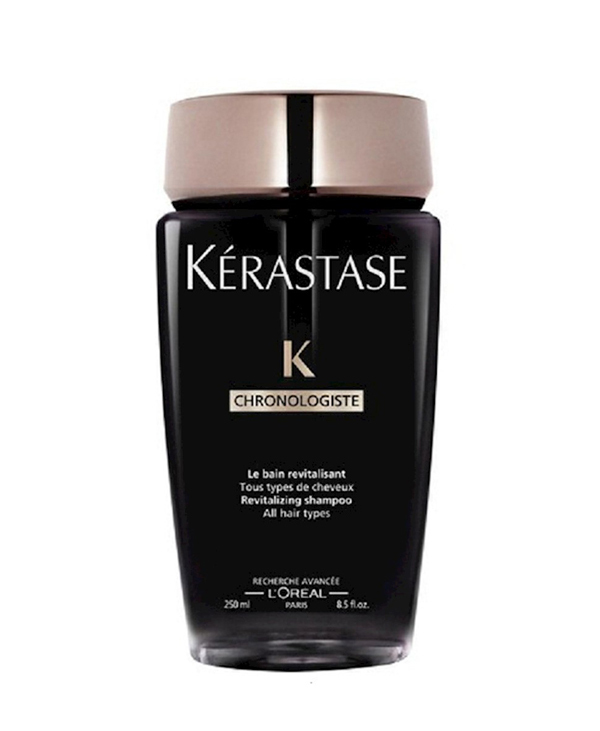 It keeps the hair super shiny and healthy, and never leaves it looking greasy and unwashed. Highly recommended product as it lives up to its promises! C’est ma première experience d’huile capillaire et j’en suis ravie. 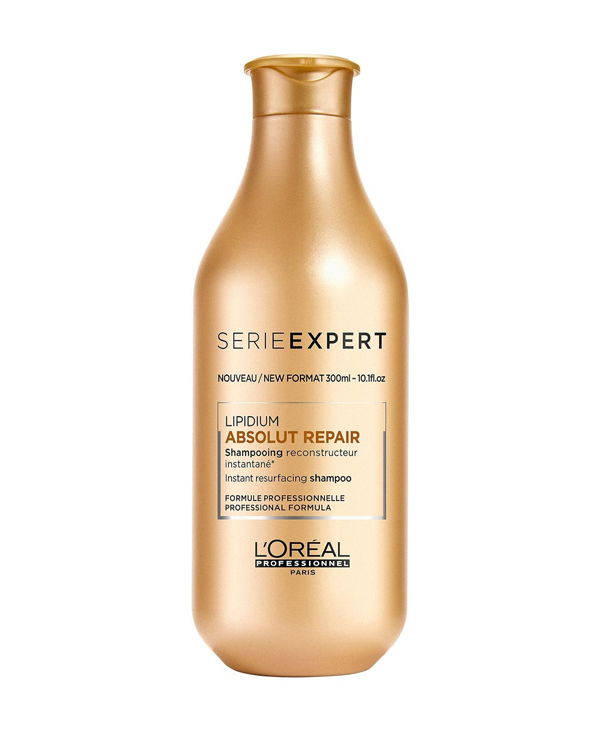 J’ai reçu l’huile Elvive de l’Oréal Paris dans la nouvelle boite d’Ounousa Reviews et je l’utilise depuis, avant chaque brushing, 2 à 3 fois par semaine. Mes cheveux sont plus doux et plus soyeux après chaque utilisation, et j’ai l’impression que l’huile les protège de l’ardeur du sèche-cheveux. Je craignais un effet gras rapide, mais à ma grande surprise mes cheveux gardent leur allure propre et naturelle jusqu’à 3 jours après application de l’huile, ce qui en fait forcément mon produit Must du mois. J’utilise l’huile sur cheveux plutôt courts. 3 gouttes suffisent à parfaire ma chevelure. Personally this is my first time ever trying this Oil. I usually use essential oils like Argan … etc.. But after using this one, I can say that I am pleased with the experience. The glass bottle have a pump, the oil color is neutral. light when applying on the hand and the fragrance of the oil is very light and sweet. My hair is very clamped, curly and very dry, so this product played a big role in taming my hair, especially when straightening it. Application: pump out some of the oil onto your hand, and apply gently to the scalp and the rest of the hair, it can be used on damped or dry hair, I prefer to apply it on dry hair. After application massage the scalp so it can absorbed by the skin. Also you can either leave it on or wash it off. Impressions: After application you can feel how smooth and shiny the hair becomes! So smooth! and very tame and it also gives some volume when blow drying the hair. At first I was afraid that my hair would become greasy but it didn’t. Just don’t use it excessively, only the right amount for your hair. I used the oil about 20 times before straightening and I am loving it. now I can’t really say if the oil makes the hair grow. only time can tell. but for now I am going to keep on massaging my scalp with it and hope for the best. I have been using this oil for the past 2 weeks and surprisingly my split ends look healthier now! 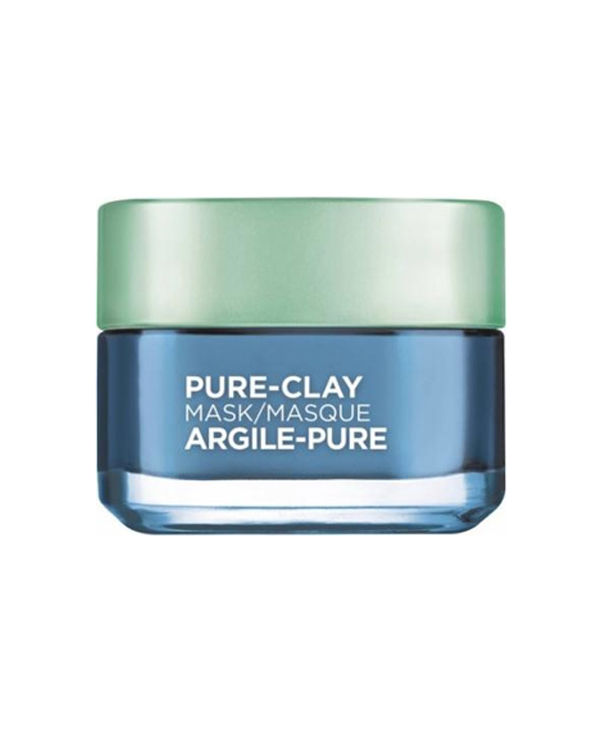 What I suggest is use it once in a month as a mask before shampooing (keep on your covered hair for 20mns) and DO also use it on wet hair every time after shampooing by dropping 2 pumps into your palm and apply it on the ends before drying your hair. 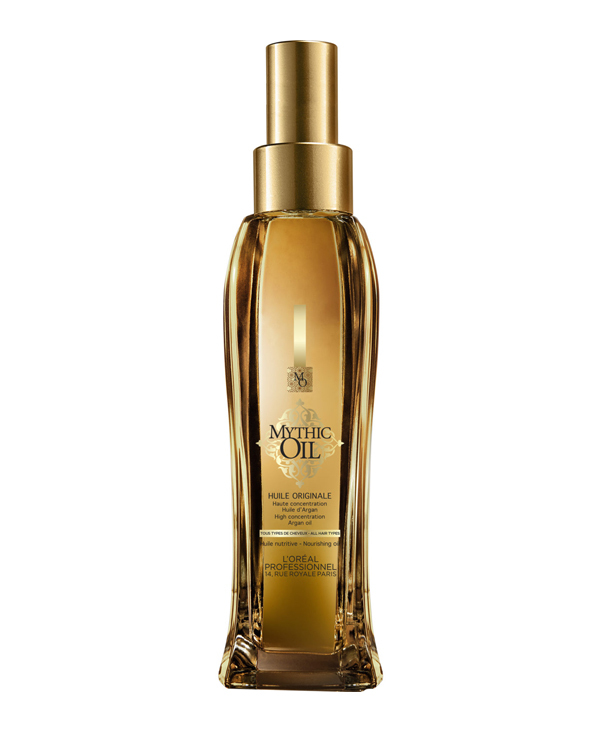 The 6 oils in it work magic; say goodbye to dry hair! Recommend it! Truly an extraordinary oil with affordable price! Enhance this scent plz and let's try again ?